Our teachers are passionate about learning and dedicated to their work with our students. They are committed to working alongside parents and all the other important people who make up a student’s team, transforming aspirations into reality. Teachers integrate all the significant information from parents, therapists, other agencies, and from the students themselves, to create lively motivating learning experiences, through in-class programmes and through our extensive range of curriculum enrichment activities. 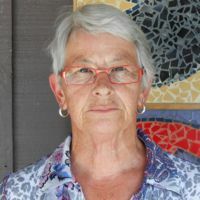 Janie has been a teaching at Maitai School since 2004, and came to us from Invercargill where she taught children with special needs, within a mainstream school. She is teaching in our Te Ara Ora senior class. Stefan is a teacher who came to Maitai School in 2001, from his home in Germany, where he worked with children and adults with special needs. Stefan is also the school I.C.T. Lead Teacher. Carly returned back to Maitai School in 2015, after having time off to be with her young family. She has taught across all classes at Maitai School and is now the class teacher in our Te Tipuranga junior class. Carly is the lead literacy teacher. Kate started working at Maitai School in 2017. Originally from the Bay of Plenty, Kate worked at a Special School in Western Australia before she moved back to New Zealand.Kate works in our southern satellite class, Maitai at Henley Waimea, which opened in Richmond in 2012. Erica started at Maitai School in 2016, after moving to New Zealand from Sydney where she worked for Autism Spectrum Australia. She now works in our Maitai at Henley Waimea satellite class in Richmond.